Embrace randomness and improvisation with my quilting. Learn at least one new technique. 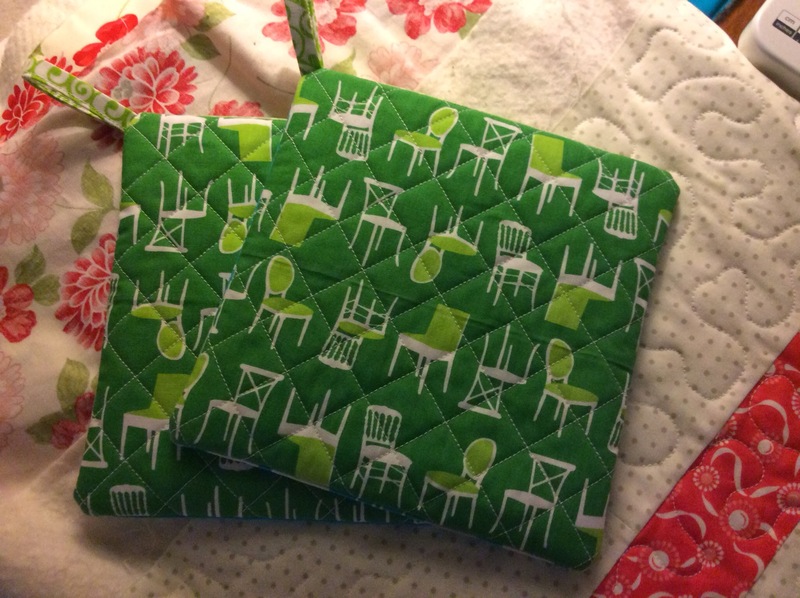 Make at least 4 quilts from the many, many books and magazines I own. Design at least one project. I would also like to thank each and every one of the super sweet people who visited my little blog in 2013 and look forward to "seeing" you again this year. I wish you love, health and happiness for 2014! 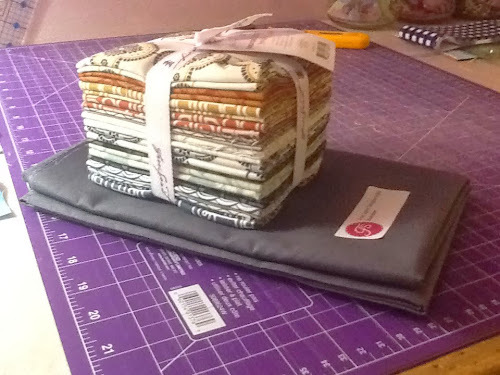 Back in June 2012, I started the Fat Quarter Shop's Designer Mystery BOM. A year and a half later, I'm happy to report that the quilt is all finished! 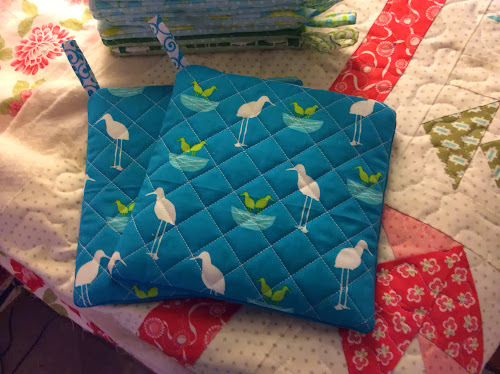 The fabric is Bonnie and Camille's Vintage Modern collection and a different designer created the pattern for each block. 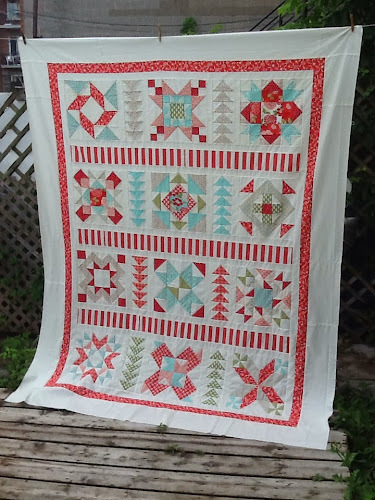 I didn't finish the quilt top at all like the instructions said, but I love the simple borders and the red binding. I quilted it on my home machine with an all-over meander and now that it's washed and dried, I love the texture it gives the quilt. This finished project is getting wrapped up today and will be delivered to my sister in law who celebrated her birthday yesterday. Linking up at TGIFF and Finish It Up Friday. This is also my one finish for A Lovely Year of Finishes so will be linking up there as well. My goal-setting post is here. 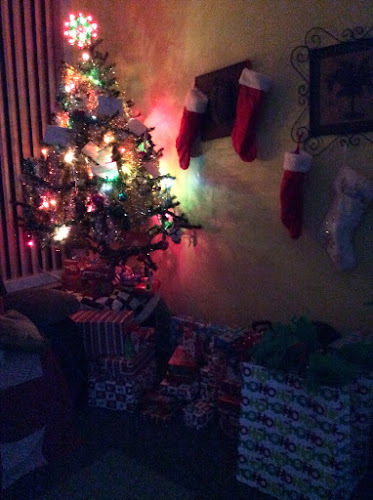 Just wanted to stop in quickly and wish you all a very Merry Christmas! I hope you are surrounded by lived ones and having lots of fun. I'm going over to my mom's tonight to celebrate with my entire family. I cannot wait! 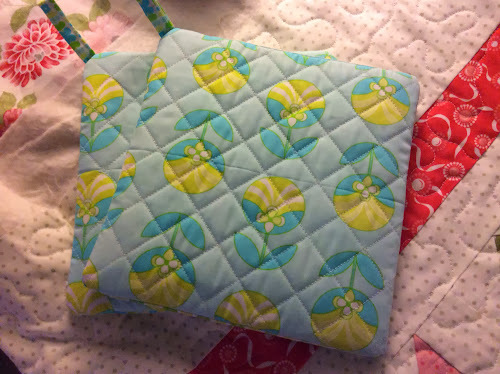 Every year, I make something quilty for the women in the family (my mom, my sister, my SILs and my dad's wife). This year, I made this fun pile of hotpads. I've had the PDF file for a while now and unfortunately, I can't remember where I got it. :-(. But they were super fun and easy to make. I'll be back after Christmas with a new finish! I would like to begin this post with a huge thank you to everyone who left comment on my last post wishing my hubby a speedy recovery. Not much as changed in his condition, but we did see movement with his eyebrow this morning, so things are finally going in the right direction. Now about this secret Santa gift... 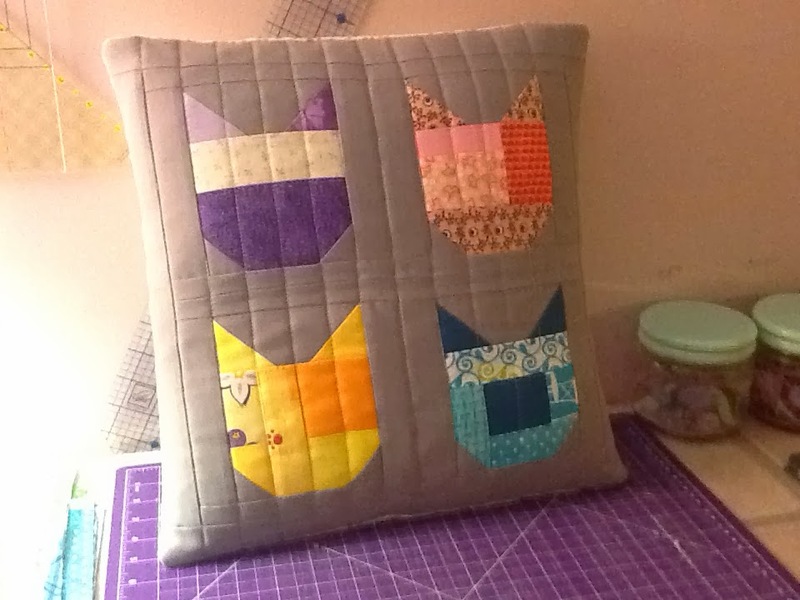 I finished the cat pillow I showed you in my last post. You'll remember that I made this pillow as a Secret Santa gift for my daughter's friend at school. This friend loves cats so when Elizabeth of Oh! 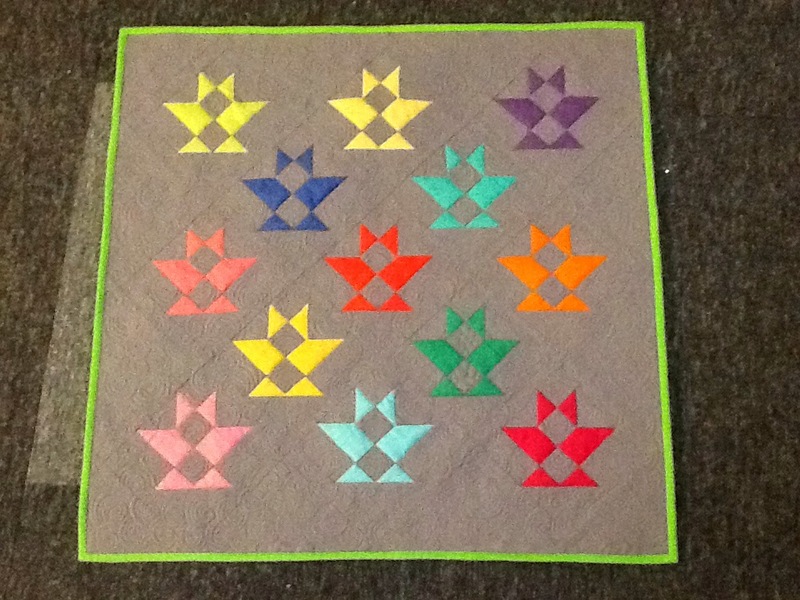 Fransson posted her cat patterns, my daughter and I knew I had to use those blocks for the pillow. 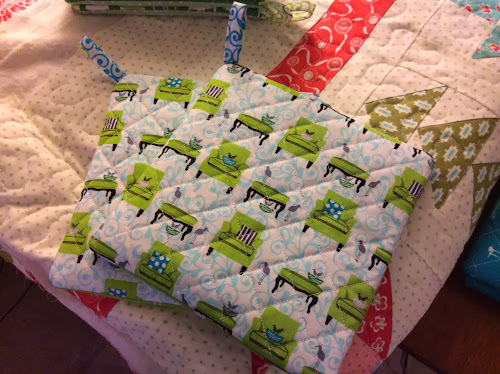 I quilted it with very simple straight lines and used a cute paw print to make the envelope backing for it. I hope you have a great weekend. I know mine will be busy... Last minute shopping, laundry, cleaning. And of course a few handmade gifts will be finished... I hope! 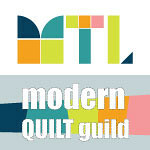 I will be linking up at Crazy Mom Quilts and at TGIFF hosted by Vickie this week. Lots has been going on around here lately, but not all good stuff unfortunately. My sweetie was rushed to the hospital on Friday because the entire right side of his face was suddenly paralyzed. I didn't tell him at the time that I thought he might have had a stroke, but I really got scared. Turns out he has something called Bell's Palsy and with time, he should get back to normal. Between going to work, taking care of my sweetie, taking Dylan to karate lessons and running errands, I've been busy in the sewing room. 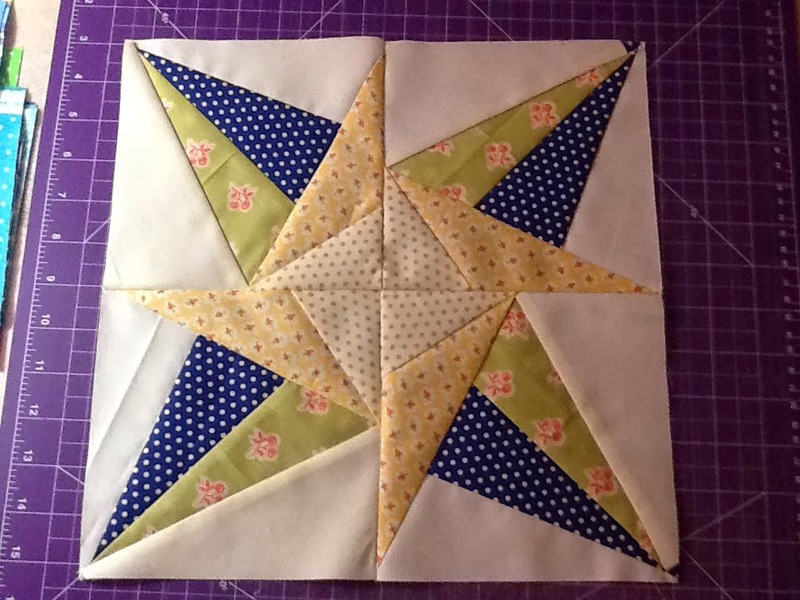 I signed up for the 2014 Lucky Stars BOM over at Don't Call Me Betsy and while I was there, I figured I might as well get the 2013 patterns as well. Last night, I sewed the January 2013 star. I love it! And that's pretty much it! What about you? What are you up to this week? 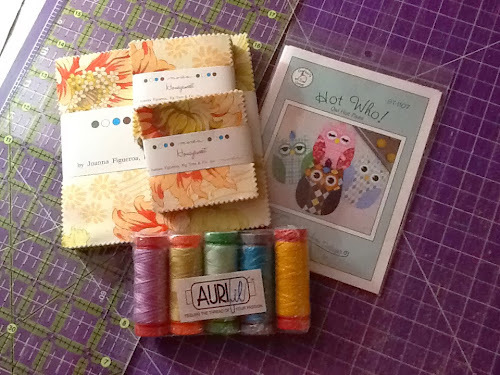 Fabric purchase and a gift! Just like most people it seems, I did lots of online shopping over the last week or so. Most of my purchases were Christmas presents for the kids and for my sweetie, but I did order some fabric and other sewing related things. I like to buy from Canadian online shops if they have what I need because of the ridiculous shipping costs when ordering from outside Canada. I bought this fabulous bundle of Parson Grey fat quarters and matching solid. 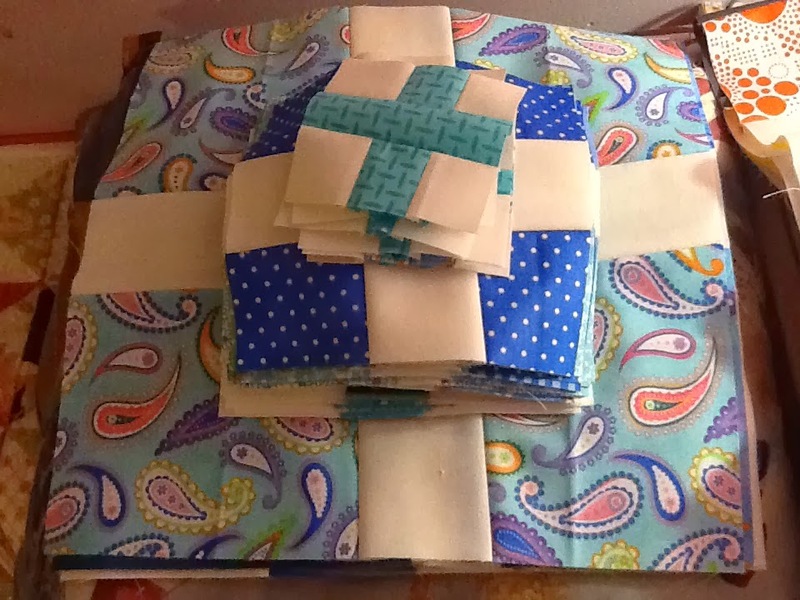 I hope to turn this amazing bundle into a quilt for my sweetie for his birthday in April. 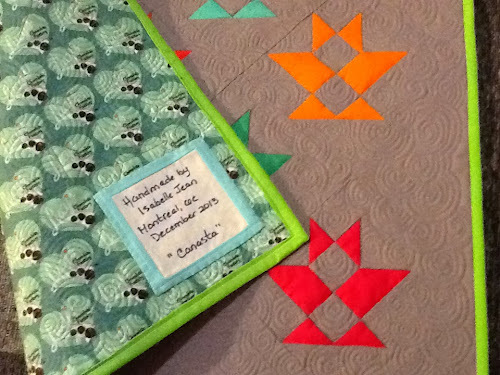 A Honeysweet charm pack, 2 Honeysweet mini charm packs, a cute pattern for hotpads and a sampling of Aurifil thread... All as a thank you for hosting Blogathon Canada from Sew Sisters! How sweet is that?! I put the last stitches onto the label for Canasta last night. I used Kona solids for the baskets, a grey solid for the background and a fun lime green for the binding. This is my first all-solids quilt (except for the backing) and I love it! 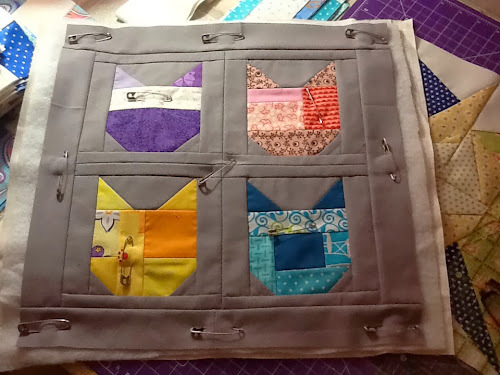 Canasta was designed by Carrie Nelson and I made it for the Schnibbles quilt-along. It measures about 30" square. I quilted with my favourite FMQ design these days - swirls - using a grey thread. And the finishing touch... A label also made with solids! This little finish is now hanging on the wall of my sewing room. 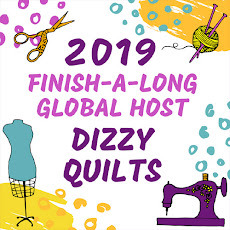 Will be linking up at Crazy Mom Quilts for Finish It Up Friday, at My Quilt Infatuation for Needle and Thread Thursday and at Quokka Quilts for TGIFF. 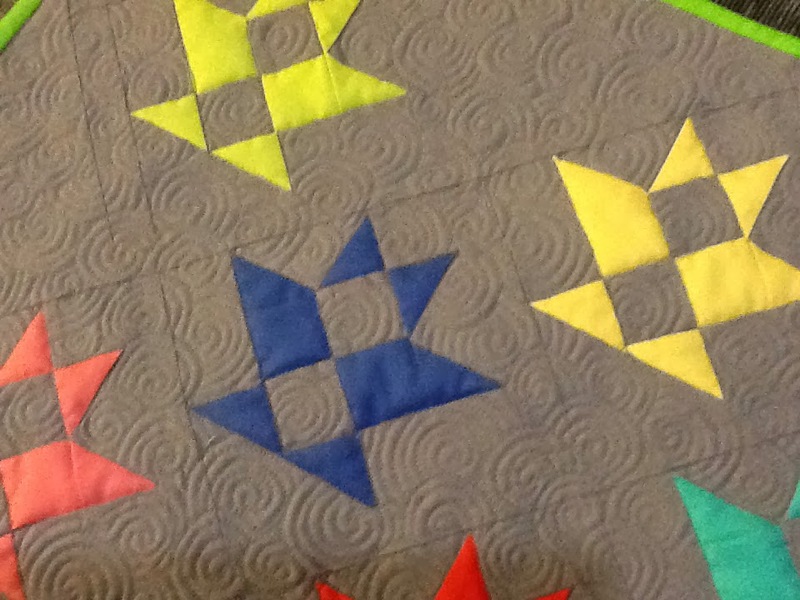 Want some amazing quilty inspiration for the weekend? 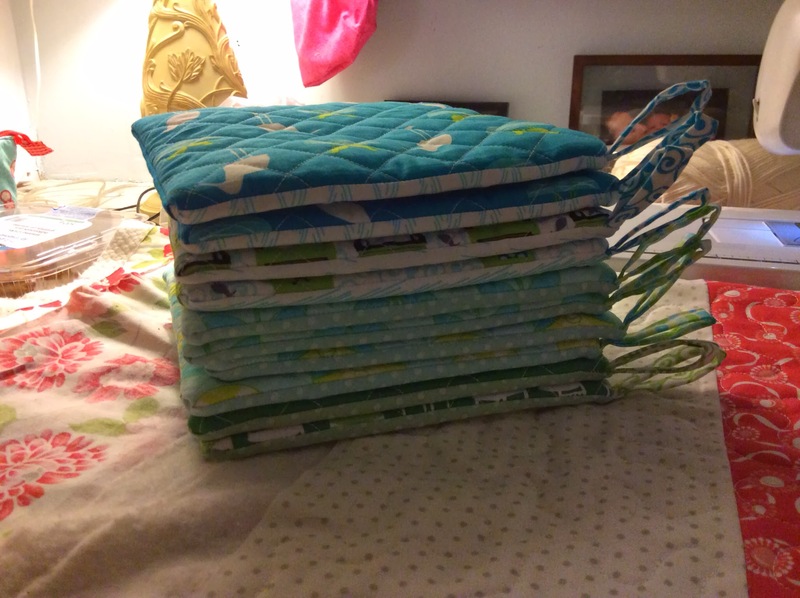 Go and check out those linky parties! Today is the first day of December! Can you believe it? And I haven't even started my Christmas shopping yet. I'm usually almost done by this time, but November was just crazy. The first of the month also means goal-setting at A Lovely Year of Finishes. After going through my pile of tops to be quilted, I decided my goal this month is the 2012 Fat Quarter Mystery Designer BOM. 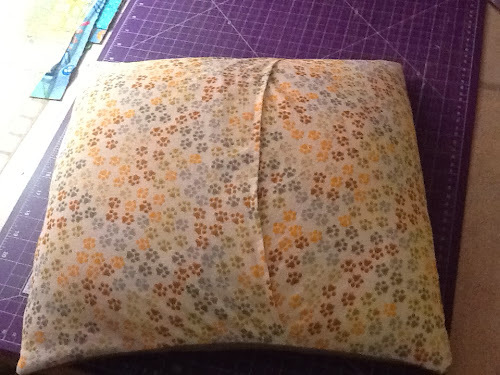 I need to prepare the backing, quilt it and sew the binding on. 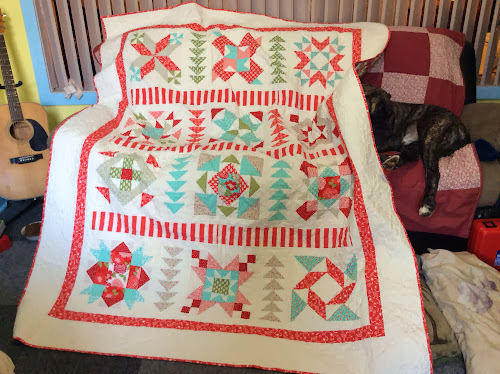 I have no idea how I'm going to quilt it. 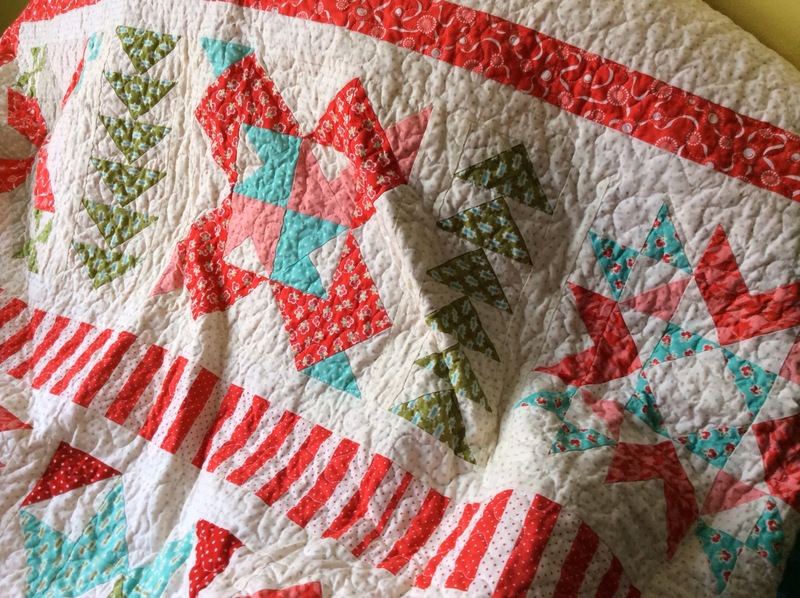 I could do like I did for my Christmas quilt and do something different in every block, but I think I'm in the mood for something simpler for this one. Maybe just an all over meander. What do you think?